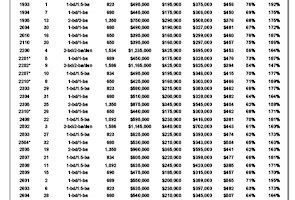 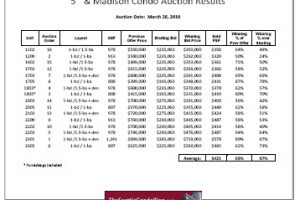 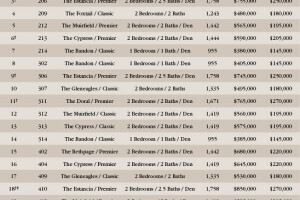 Gallery Condo ditches the auction of 25 open one-bedroom and one-bedroom homes that was slated for tomorrow, Saturday, March 5th; switches format. 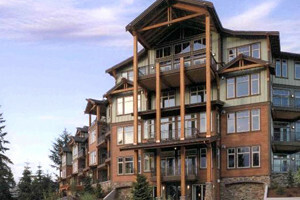 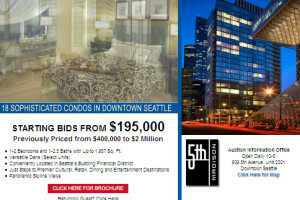 Fairview Condo auction sells 20 units generating $6.6 million in sales. 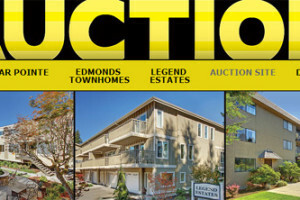 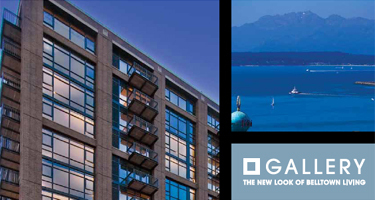 TeamBuilder JLS to auction 19 condo and townhome units in Edmonds and North Seattle. 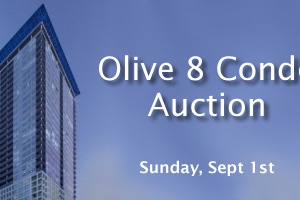 Olive 8 auctioned 32 units, with winning bids averaging 33% below the last listed prices…and 73% over the starting bids.